Farm Mom's Musings: Remember the Tulip Cardigan? 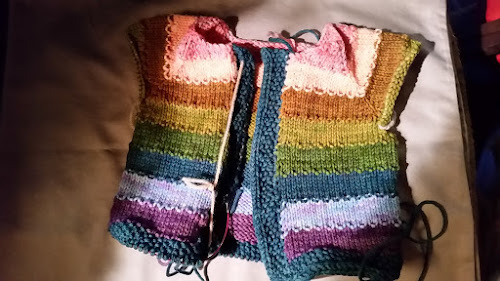 I have returned to knitting the Colorful Tulip Cardi and have made much progress from this. There is now I-cord around both fronts and bottom. And the first sleeve is started. I hope there will be enough of the teal for both sleeves, and the edging there. If it looks tight, I decided I can always use the pink for the I-cord ties and neck finishing. After all this is for a girl this time. Either way, I should be able to finish this soon. 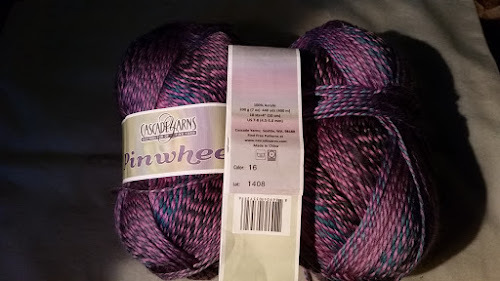 And remember the yarn I accidently may have ordered? It is turning into the 10 Stitch Blankie. 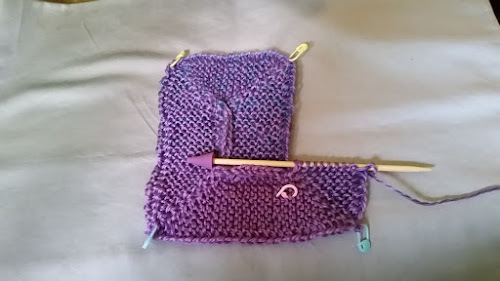 A mere 10 stitches spiral around, with metered corners, creating a square blanket. I did need to watch a tutorial on YouTube a couple times but it is going fairly smoothly now, and has grown a bit from this picture. I am glad the temps have gone down for a while. 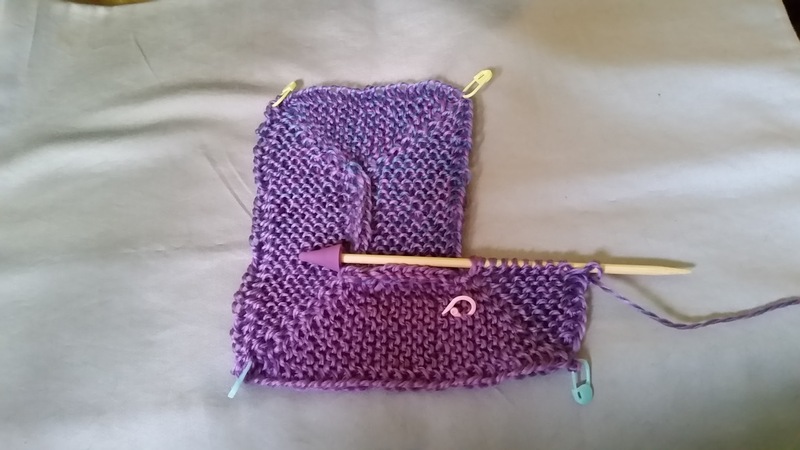 It makes knitting much easier.